We provide the meeting space. We invite an audience. You provide the contents! Do you have something about free and open source that you want to tell the world about? 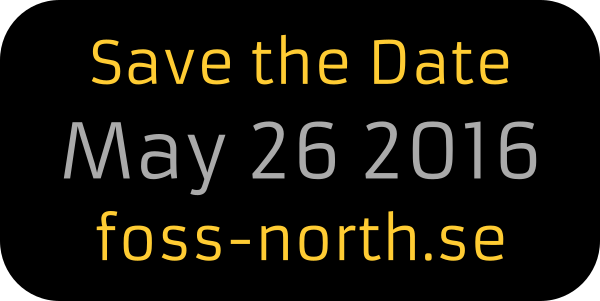 If you want to speak at foss-north, please follow the link below to register a talk proposal. The registration is closed April 10 and speakers are notified on April 24. The call for papers is closed. Thank you for your contribution!